cheap online formations often don’t provide any telephone support, so if you do get stuck who is going to help you? We have even seen offers of free company formations, which on first sight seem like great offers. It’s only when you read the small print that you actually find out that if you accept the free formation you must remain a client for a minimum of a year or even longer, meaning the so called free formation ends up costing you thousands. At The Company Warehouse we provide Free Company Formations, so how do our packages stack up? Phone support – We have a team of business consultants based at out office in Essex. They are available on the phone Monday to Friday 9.00am to 5.30pm. You can call them and ask them questions about the company formation process on 0800 0828 727. Ongoing Costs and Tie-ins – There are none. It used to be a condition of our Free Formations that you had to open a bank account with our banking partner but we got rid of this requirement in February 2014. There are now absolutely no tie-ins on our Free Formation package. Total cost – You will not end up paying thousands of pounds if you use our Free Company Formation service. It is free. Will we talk to you about the next steps for your company, making sure it is legally compliant and how you are going to market it? Yes we will. But this does not mean that you have to buy anything from us. Our Free Formation is Free and there is no obligation to buy anything else from us. So this leaves you with a choice. 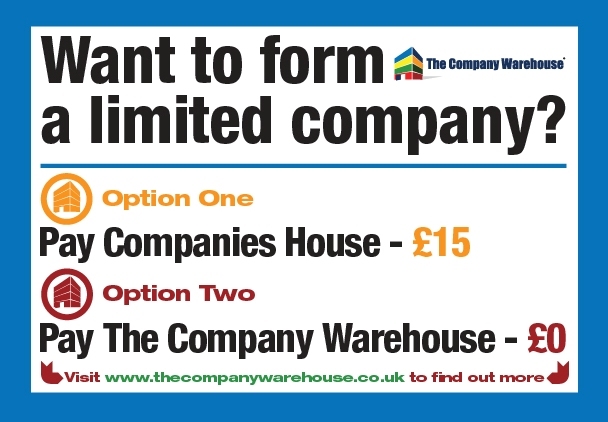 You can pay an accountancy firm £125 + VAT to form your limited company or you can pay us, a company formation agent, £0. Still not sure? Take a look at what our customers say about our services or give our consultants a call on 0800 0828 727.